The second edition of International Peace & Sport Forum was held in December 2008 in Monaco. More than 300 leading figures and experts met in order to remember the fundamental role of sport in building sustainable peace, under the High Patronage of His Serene Highness Prince Albert II of Monaco. 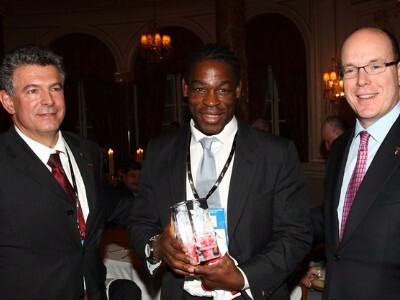 Serge Betsen was given the Peace & Sport award in December 2008 by Prince Albert II of Monaco.